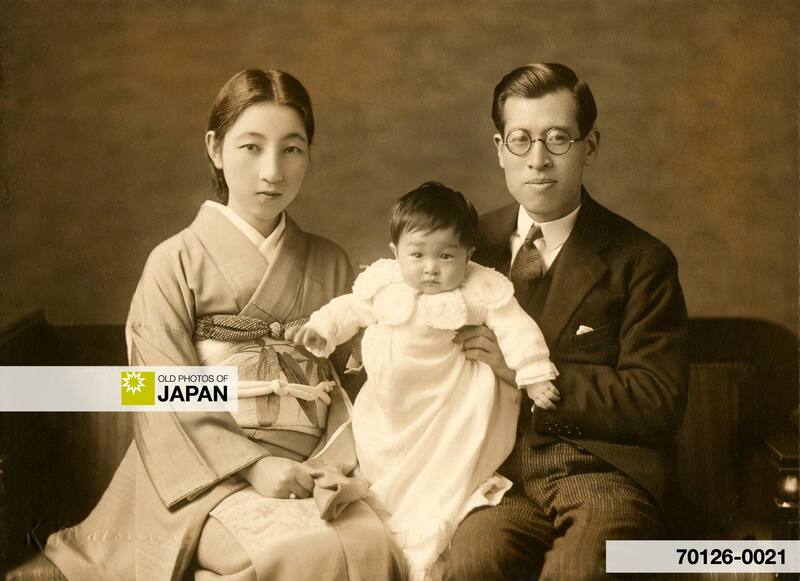 Ceremonial Taisho era photo of a family in formal wear for family members’ fiftieth wedding anniversary (金婚記念, kinkon kinen). This photo comes from an album with 9 photographs. The accordion type album is covered in beautiful green textile stamped with golden characters that read kinkon kinen. On the first page is a photo of a text written in graceful calligraphy followed by a photograph of an elderly couple, very clearly the couple that is celebrating their 50th wedding anniversary. In the following pages are photographs of their children and grandchildren, including this one. 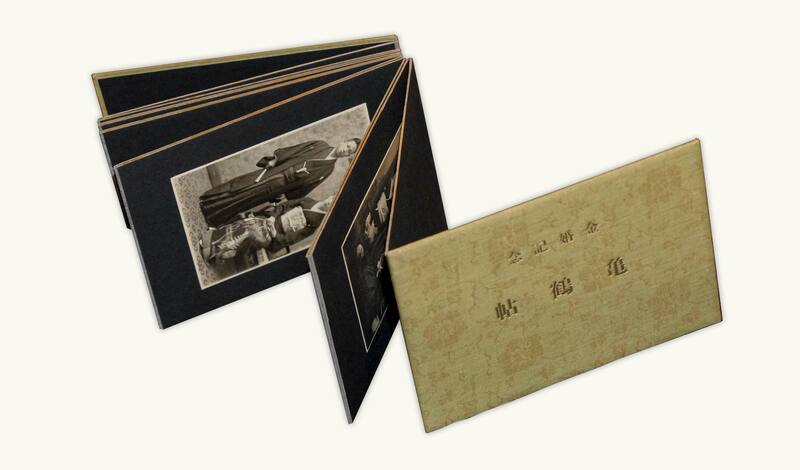 Most probably each family shown in the photographs received one of these little albums. An interesting detail is the subtitle printed below kinkon kinen. It reads Album of Turtle and Crane, expressing the family’s wish for a long life. A charming window into this family’s celebration of an important event. You can also licence this image online: 70126-0021 @ MeijiShowa.com.